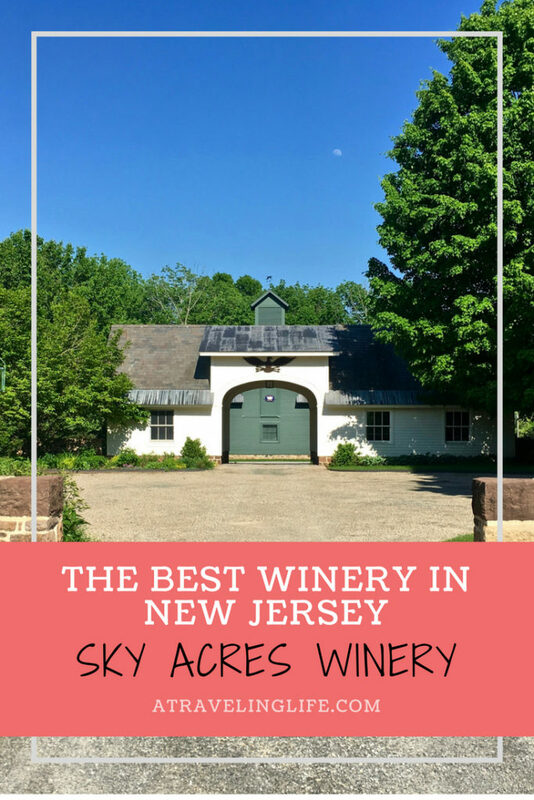 Recently, on a day trip to Somerset County, New Jersey, I had the special opportunity to learn about the one-of-a-kind operation that is Sky Acres Winery in Bedminster, recently named the best winery in New Jersey 2018. Sky Acres’ annual Open House is coming up on October 6. One game I love to play with my friends in Boston is serve them a bottle of wine and then make them guess where it’s from. Of course, they usually say, “Napa” or “France.” When I tell them it’s from New Jersey, they, understandably, are shocked. New Jersey doesn’t have the reputation as being a wine destination, but that’s starting to change thanks to, in part, the husband-and-wife team behind Sky Acres Winery, a sustainable winery that recently was named “New Jersey Winery of the Year 2018” in the New York International Wine Competition. Meera and Vijay grow 3.5 acres of grapes. They also buy wines from California and elsewhere in New Jersey. 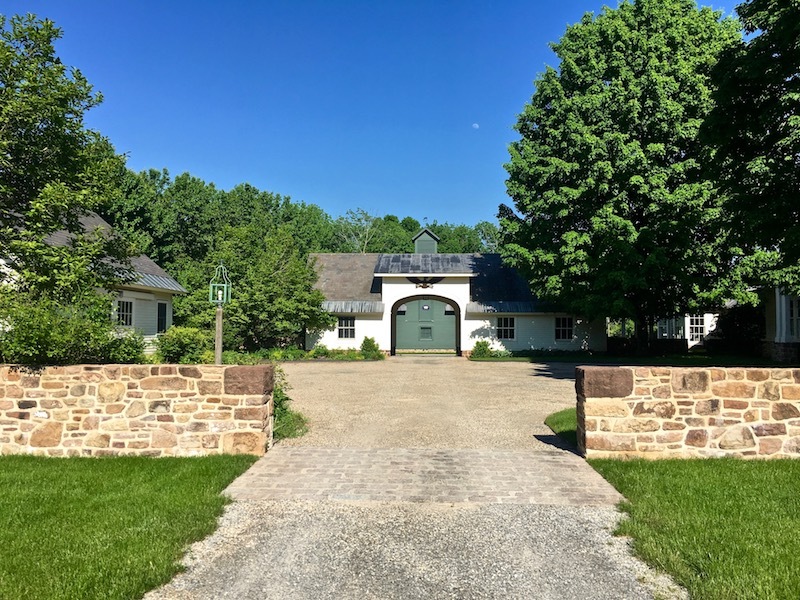 Sky Acres Winery sits on a 50-acre plot of land among the forests and fields of beautiful Somerset County in Central New Jersey (about one hour west of New York City). After passing through the property’s stone gate and pulling into the parking lot, I was greeted enthusiastically by Meera and Vijay Singh, who are the entire team behind Sky Acres, which they launched in 2014. Over the next two hours, I drank, chatted and strolled through the vineyards with Meera and Vijay, completely captivated by their enthusiasm, blown away by their commitment to continuously improving their craft and a little buzzed from their delicious wine. Meera and Vijay never set out to create an award-winning winery. After both retiring from successful careers – Meera was partner in a graphic design firm in New York City and Vijay was a world-renowned biotech scientist, they purchased the Bedminster property and were stumped with what to do with all the land. A friend who owns another New Jersey winery suggested they start making wine too, but there was just one problem – Somerset County has strict water regulations, and wineries use a lot of water. Ever the innovator, Vijay soon came up with a way around that big roadblock. “I thought, ‘There has to be a better way,’” he recalls. Vijay sells the GO Fermentor™ to other wineries. He currently has hundreds of customers – mostly small, artisanal wineries – in the U.S. and Europe. Today Sky Acres Winery – named for one of the couple’s other interests, aviation – is the only waterless winery in the country. Vijay applied a technique he developed that revolutionized the production of biopharmaceuticals to making wine. The system – called the GOfermentor™ – looks quite simple. It’s comprised of a plastic liner that is inflated and deflated inside of a container, eliminating the traditional time- and labor-intensive process of washing, punching and pressing grapes. 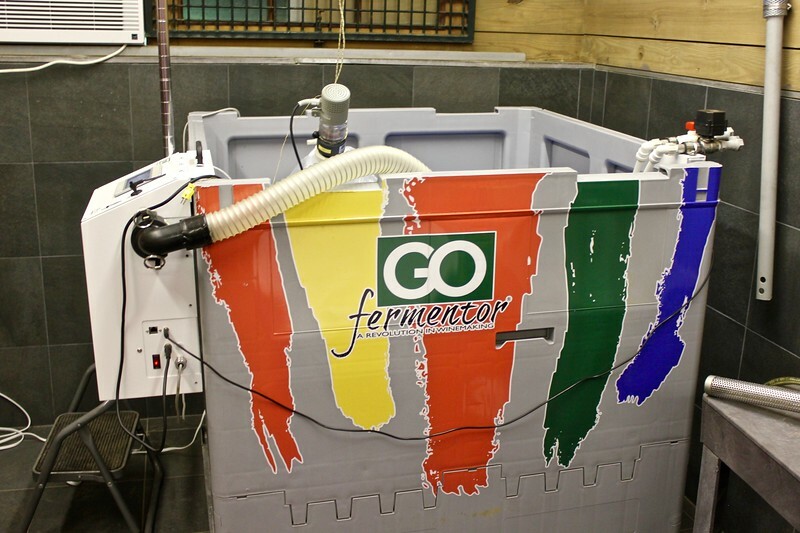 The GOfermentor requires little space, doesn’t need to be cleaned, and best of all, the only waste is the liner itself – the grapes are put back on the land as fertilizer. 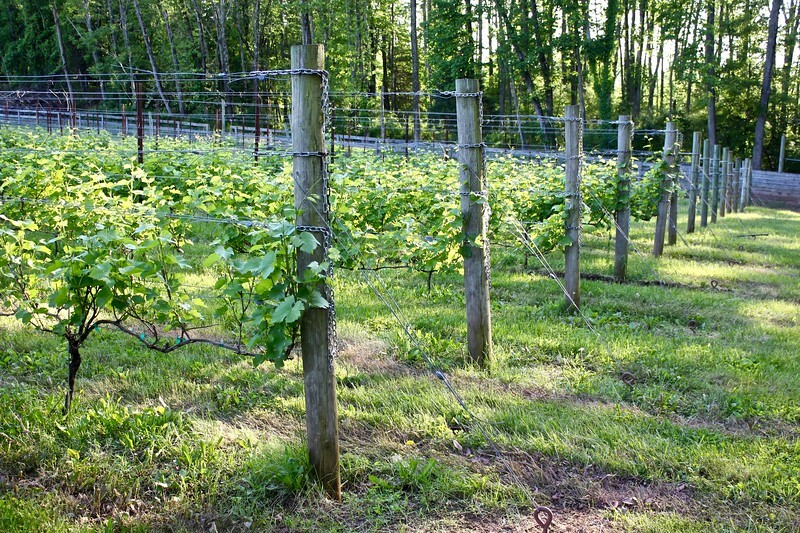 Vijay also doesn’t use any herbicides or pesticides on the property’s 3.5 acre of grapes. Instead, he uses a machine that blasts weeds with “superheated” steam, and he inspects and removes any infestations by hand. All of Sky Acres’ electric power comes from solar panels as well. 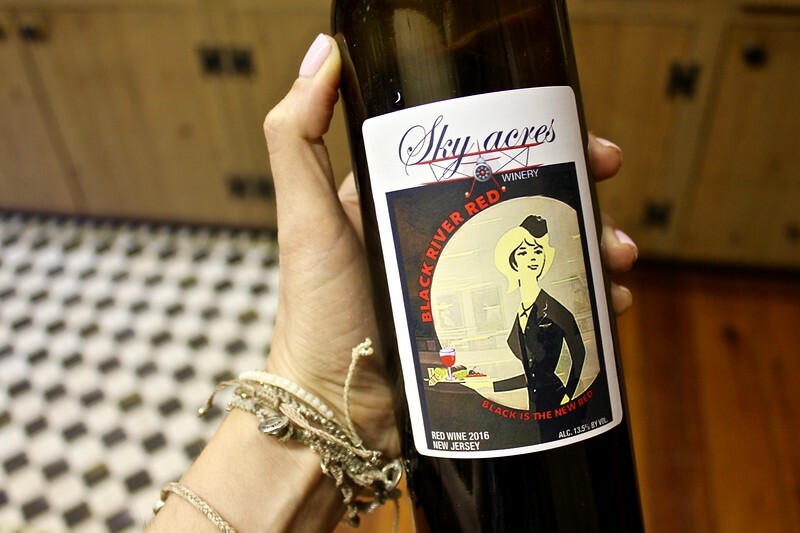 All of the labels follow Sky Acres’ aviation theme. In addition to their recent award, several Sky Acres won several awards at the San Francisco Chronicle Wine Competition, the largest competition of American wines in the world – the Cabernet Franc NJ 2016 won Silver, and the Black River Red 2016 and Petite Syrah 2016 won Bronze. I enjoyed everything I tasted at Sky Acres that afternoon, particularly China Clipper (crafted to be the perfect compliment to Chinese food! ), Black River Red and the Petit Syrah. 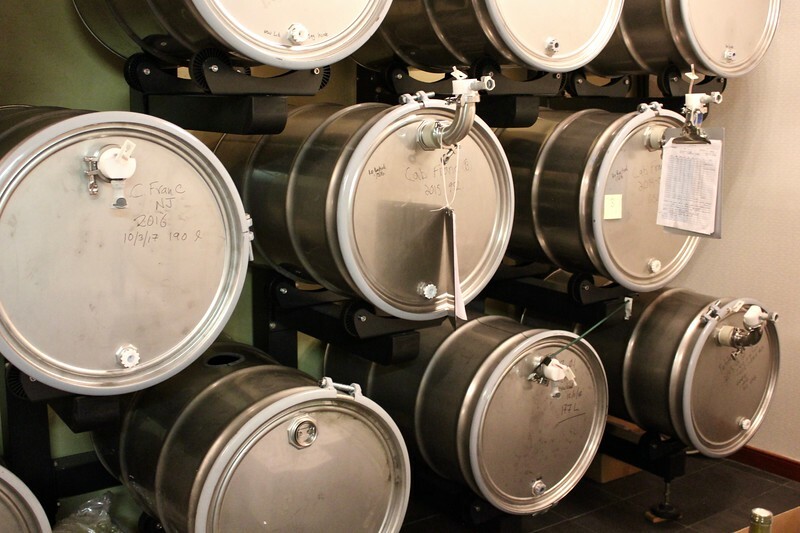 Since there is no “top off” process, air doesn’t get into the barrels, so the wine can be stored inside for years. Unfortunately Sky Acres isn’t open for tours – it’s Meera and Vijay’s home, after all. But they’ll be hosting their annual Open House on October 6 from 3:30 to 7 p.m., during which they’ll be releasing new wines. You also can purchase their wines at several New Jersey retailers or online. If you join their wine club, you can receive four bottles of wine four times a year at a 10% discount. Thank you to Somerset County Tourism for arranging my visit to Duke Farms and Sky Acres Winery, and to the Singhs for being so welcoming and generous with their time. 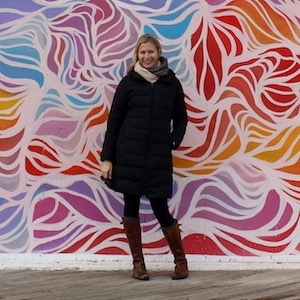 I greatly enjoyed my visit to the best winery in New Jersey!